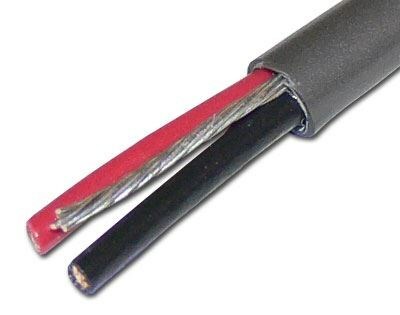 1000FT 2 Conductor Power-Limited Circuit Cable and Communication Cables. Color Coded, SR-PVC Insulation. Conductors Cabled. Overall Aluminum/Polyester Shield and Drain Wire. Chrome Gray PVC Jacket. California State Fire Marshal Approval. Used For Intercom/PA Systems, Sound/Audio Systems.